Paolo Bacigalupi | Weighing a pig doesn't fatten it. 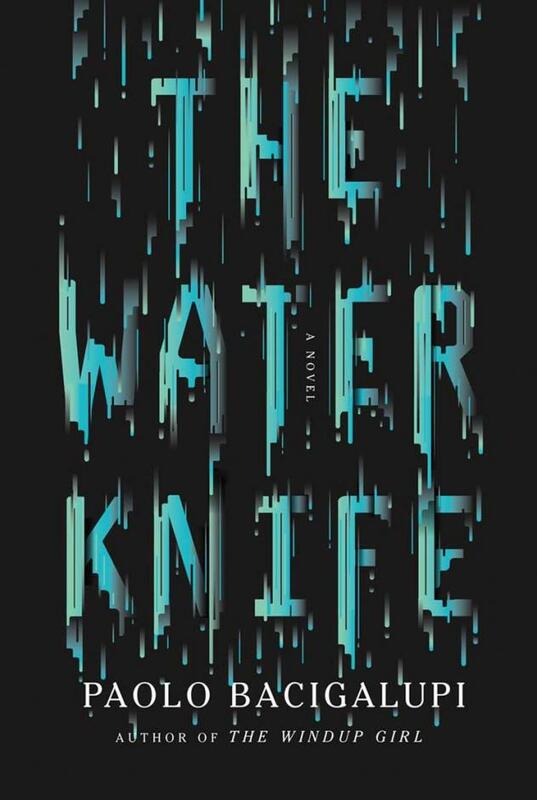 The Water Knife is first and foremost two things: it’s a warning, and it’s a thriller. Its science fiction elements only play a supporting role, but that’s not to be taken as an objection. I hadn’t read anything by Bacigalupi, and I’m surely reading more of him in the future – good thing The Windup Girl was a Christmas gift last year. The book is set in the American Southwest, in a not so distant future – Britney Spears is still alive! – where climate change and the current Californian drought have worsened to apocalyptic proportions. The population has decimated and states fight over dwindling shares of the Colorado River. It focuses on three characters: Lucy Monroe, an East Coast Pulitzer winning journalist, Maria Villarosa, a poor Texan refugee and Angel Velazquez, a former gang member and current “water knife” – hired muscle doing all kinds of covert dirty work for Southern Nevada to ensure its water rights. The point of view changes between these characters, and sooner than later they run into each other. The first half of the 369-page novel is mainly used to set mood. The part of the USA it’s set in has devolved to a violent dust world. Not Mad Max, but still. The USA is in political tatters, climate refugees from other states are lynched, psychotic drug lords rule over their territory and the law as we know it is hardly enforced anymore. Water obviously is scarce and valuable, with almost Dune-like consequences, and Chinese companies build high-tech closed ecosystem resorts with excellent climate control, for the wealthy only, of course.